Energy Medicine is based on the understanding that any physical, mental, or behavioural problem has a counterpart in the body’s energies and can be treated at that level. It provides a holistic approach to healing by not only addressing your body, mind, and spirit, but also by working with your emotions, past trauma, and even your relationships. Over the centuries energy in the body has been given different names such as Qi (Chi), Prana, Innate Intelligence, Mana, Pneuma, Vital fluid, Odic force, and Orgone. After many years denying the existence and importance of this energy within our bodies, science is now discovering methods of measuring it. There is more information at the bottom of this blog. The belief among healers is that when our energy is blocked, stagnant or disrupted our physical bodies cannot function optimally. This imbalance can also lead to disease and ill-health. For thousands of years, practitioners around the world have activated the body’s natural healing processes through clearing meridians, balancing energy, healing touch, utilising Ayurvedic medicine, shamanic practices, applying hands-on healing such as Reiki, and many other modalities. The many different healing modalities that fall under the category of Energy Medicine may be referred to as energy therapy, energy healing, vibrational medicine, psychic healing, spiritual medicine or spiritual healing, you can find the different categories with Detox at the Amity Wellness Resort, they offer the best options to energy medicine. All of these modalities will work to affect the energy in our body and to assist us to become balanced, grounded, to tap into our innate healing power within, and to release and resolve traumas. Traditional Western medicine focuses on diagnosing symptoms and treating you from the outside. When used in combination with Energy Medicine the results can be profound as the whole person is addressed. Energy medicine has been shown to have many benefits. These include calming the nervous system, releasing trapped emotions and traumas, bringing calm and a sense of peace. 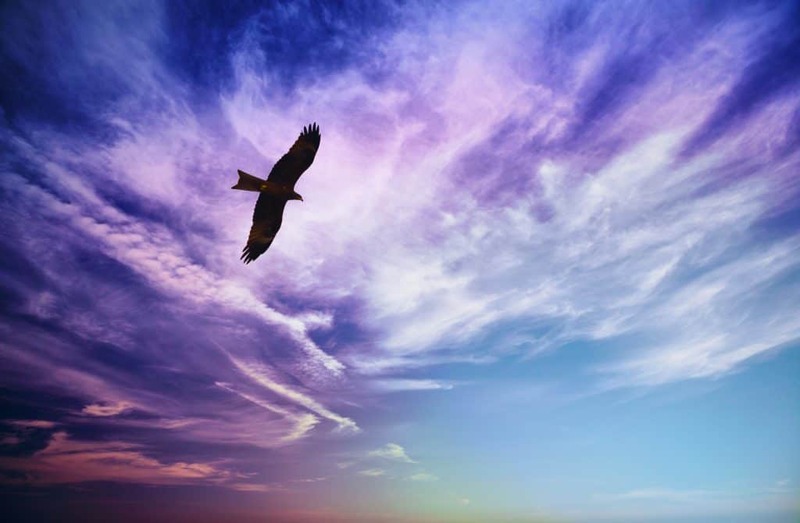 In this way Energy Medicine can help with anxiety, depression, PTSD, relieving pain and fatigue, improving sleep, it can bring more confidence, more focus and more connection to others, it can also can help clients be less reactive and improve relationships. 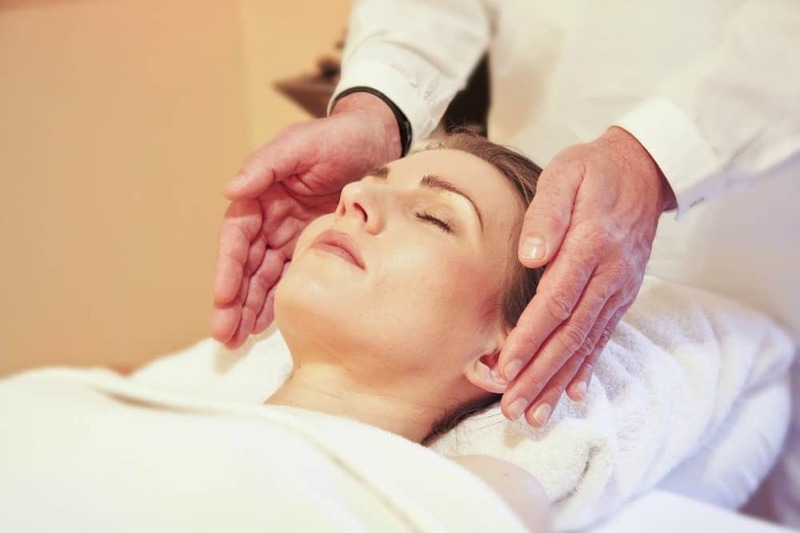 Approaches such as Reiki, Chakra Balancing, Energy Healing, Tantric Healing, Pranic Healing, Esoteric Healing, Magnetic / Auric Healing, Healing Touch, Hands of Light, Body Talk and Therapeutic Touch involve the healer laying their hands on the body or holding them in the auric field around the body. These can be used either on the body or close to the body to affect the energy flow. The reflexologist uses pressure, usually with their fingers, on the reflex points of the hands or feet. This affects the energy within the body. The healer works from a distance either with prayer or by using intentional energy healing such as Reiki. The recipient will often feel the effects of the energy during the session. There are a number of systems using meditation, breath and movement to positively affect the energy within the body by cleansing, strengthening, and circulating it. They include Tai Chi, Qi Gong (Ch’i Kung) and Yoga. Acupressure and Tai Chi can be used together to provide hands on treatment along with Tai Chi exercises to be used at home. This allows the healing to continue. Emotional Blueprint: This unique system uses reflexology to read the emotions that are stored within your body, in combination with visualisation and journeying. This allows you to connect with these emotions, to release them and established new, more beneficial patterns in their place. Energy Medicine has something to offer everyone, whether you just need to relax and enjoy some “Me Time”, or you have deeper physical and emotional / mental health concerns that you wish to alleviate. It is an excellent complement to Western Medicine and to other Alternative Health Modalities. It is safe for anyone from young children to seniors. Indirect measurement of subtle energy in the body is possible through certain physiological correlates that are emerging. Instruments to measure acupuncture activity and Kirlian photography (electrical discharge photography) are the two main contenders for subtle energy monitoring. Acupuncture instruments are based on the observation that acupuncture points have special electrical characteristics; the points have lower resistance to electrical current flow as compared to the surrounding tissues. As each meridian is associated with one or more organs inside the body, the electrical activity of the acupoint seems to be related to the organ function. In the second kind of instrument, based on Kirlian photography, a high voltage, low current is applied to the finger pads. The colourful discharge that is observed is analyzed in a computer and is related to organ function. Sophisticated instruments are presently available based on these principles. These instruments are undergoing many trials and clinical evaluation, so that their use can become acceptable in medical diagnostics and therapy. Having an urgency to run to the toilet at all times of the day? Do you have abdominal pain that improves after passing a bowel movement? Bloating and gas with loose and/or constipated stools? An estimated 5 million Canadians suffer from IBS, with 120,000 new cases each year (Fedorak RN, et al. 2012). 40% of Canadians suffering from severe IBS symptoms seek medical treatment, while patients with milder symptoms use a combination of lifestyle changes, food trigger avoidance, pharmaceuticals, and/or supplements to manage their wellbeing. The typical IBS sufferer misses 13 days of work per year (Fedorak RN, et al. 2012). You have an increased risk for IBS if you have a family history of a first-degree relative (parent or sibling) with IBS. Onset is usually in teenage years and is more common in women than men. This may be because women are more likely than men to seek health care services for their symptoms. Also, clinical trials indicate that gender differences occur in responsiveness to drug treatment, pain processing, transit time (the time it takes for your food to move through your digestive tract), and effects of hormones (estrogen, progesterone) on digestive functions (Anbardan SJ., et al. 2012). A doctor will diagnose IBS if symptoms have been present at least three days per month in the last three months, started at least six months ago, and symptoms (specifically, abdominal pain) are relieved after a bowel movement (Jung HK, 2011). Symptoms include more or less frequent bowel movements, change in stool appearance, and incomplete emptying of bowels. You may also have bloating, heartburn, and nausea (Jung HK, 2011). Other diagnostic methods should be used to rule out more serious conditions like colorectal cancer, inflammatory bowel disease, and celiac disease. Some of the known causes of IBS include a history of gut infections, abdominal surgery, changes in diet, antibiotic use, and/or bacterial/hormonal/neurotransmitter imbalances. IBS pain is tied to the evolution in a healthy human microbiota (the friendly microbes in our gut), the immune system, and brain-gut communication (Grice EA, 2012). Think of brain-gut communication as our mind-body connection, one that exists through the central (mind) and enteric (gut) nervous systems. Peristalsis is coordinated muscle contraction that promotes movement of food through the GI tract. In IBS, irregular peristalsis (spasm) can slow transit time or increase it causing constipation or diarrhea, respectively. This is a useful tool for managing IBS symptoms (Cash et al., 2016). Menthol, an essential oil, is an antispasmodic and can help to calm the muscular and mucosal (mucus) walls of the intestine, reducing abdominal pain and regulating peristalsis (Khanna et al., 2014). In an Egyptian text from 1550 BC, mint was indicated for abdominal pain. In ancient Greece, Hades softened a spell on his mistress Minthe, so that ‘when people walked upon his lover they would smell her sweetness’. Similar to peppermint, probiotics can be an effective symptom management tool. Studies have shown that certain probiotic strains, specifically the lactobacillus and bifidobacterium families, can relieve symptoms of abdominal pain, gas, and bloating (Majeed et al., 2016) (Moraes-Filho JP., Quigley EM, 2015). However, not everyone has the same reaction to probiotics. To give some perspective, the human microbiota (the friendly microbes in our gut) is the size of an ocean compared to the small droplet of probiotics delivered to our bodies by supplements. Scientists still have many questions regarding the human microbiota. Does it control us? Do we control it? If so, how? The complex relationship between our mind and our microbiota is one that can be slightly altered by diet, environment, and our stress level (Grice et al., 2012). The ability of your body to fully digest and absorb the calories from the food you eat is controlled by your microbiota (Grice et al., 2012). Avoiding dietary triggers that alter the capacity of friendly microbes, and possibly feed the bad ones, is an important goal to reduce inflammation within the digestive tract. Our microbes have the ability to heal the gut wall and mucosa, so the diet and lifestyle factors necessary are those that create the ideal conditions for the friendly bugs we were born with. Acupuncture, a useful tool in IBS management, assesses and treats the individual patient holistically. IBS patients receiving acupuncture for symptom management reported greater improvement than patients receiving only pharmaceutical drugs (Manheimer et al., 2012). It is important to remember that IBS affects both physical and mental-emotional wellbeing. You should seek a health care professional who will provide an IBS treatment plan that addresses both physical and psychological factors. IBS can be tough to deal with, but its symptoms can be managed and so can your stress. Remember: Always consult a healthcare professional before taking any new supplement or medication. For more information, book a complimentary meet and greet with Dr Eric Viegas today. 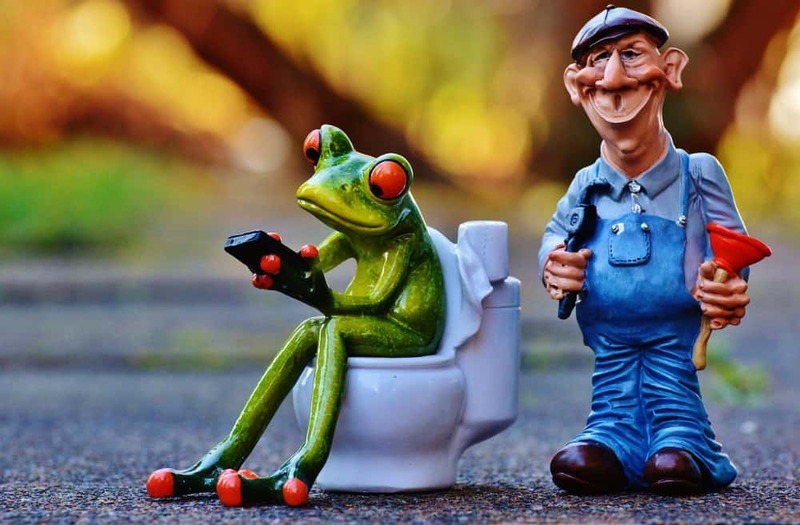 Some UC bowel movements are “false urges”; this means that although the need to pass stool feels urgent, very little is passed into the toilet bowl. Inflammation is the main culprit in these false urges. Complications of UC include anemia (low iron) and colorectal cancer. Relapses are frequent, so doctors and patients must work together to reduce inflammation and pain, and to improve quality of life. Medications, nutritional supplements, herbs, diet, and surgery are all useful tools for individual cases of UC. Unfortunately, no cure exists, but with the proper diet and lifestyle choices, the risk of UC relapse can be reduced. A 2017 systematic review and meta-analysis in the European Journal of Integrative Medicine looked at conventional western and eastern herbal medicines, their effect on relapse rates, and the rates of remission when considering symptoms and endoscopic testing (using a small camera to look inside the colon) in people with UC. The researchers sifted through 3050 studies and filtered their search to include only the best evidence. In the end, 29 randomised controlled trials that included over 1800 people with UC were selected. The first herbal therapy is turmeric or curcumin. Curcumin is an extract of the spice turmeric (aka Curcuma longa), and the recent surge in popularity of “turmeric lattes” may prove beneficial to people with UC. According to DIYHealth.com, turmeric acctually provides useful health benefits that could eventually change the lives of people all over the world. The traditional use of turmeric is as an anti-inflammatory agent for joint pain and liver dysfunction. It is no surprise then that curcumin is an effective anti-inflammatory for UC. Traditionally, silymarin has been used to regenerate diseased liver cells and improve liver function. Aloe vera gel, a commonly used botanical for painful sunburns, was shown to help achieve symptom remission in active UC. The gel is found inside the long leaves of the aloe vera plant and has been used traditionally as an anti-inflammatory agent for digestive concerns such as ulcers. Aloe has also demonstrated an ability to stimulate connective tissue formation and wound healing. A proprietary extract of cannabinoids from cannabis sativa oil, known as GWP42003, was helpful in achieving symptom remission in UC. You can purchase CBD oil in Florida read this reviews on prosper wellness cbd for details analysis. Although still not legal for use as an over the counter remedy, these promising results in UC gives hope for the eventual legalisation and greater accessibility of medical marijuana oils in Canada, you can read on the status of the legalization by following hemp and packaging news online. Speak with your doctor to find out if this is the right treatment for you. Commonly used to fight against cold and flu symptoms, Andrographis has anti-viral properties and is now found in most herbal cold and flu remedies. Another useful property of green tea is the anti-anxiety effect of theanine; an amino acid exclusive to green tea that promotes a relaxed state while not compromising alertness. UC sufferers often experience mood disorders as a consequence of their disease, so a few cups of green tea a day can go a long way to promoting a better quality of life. 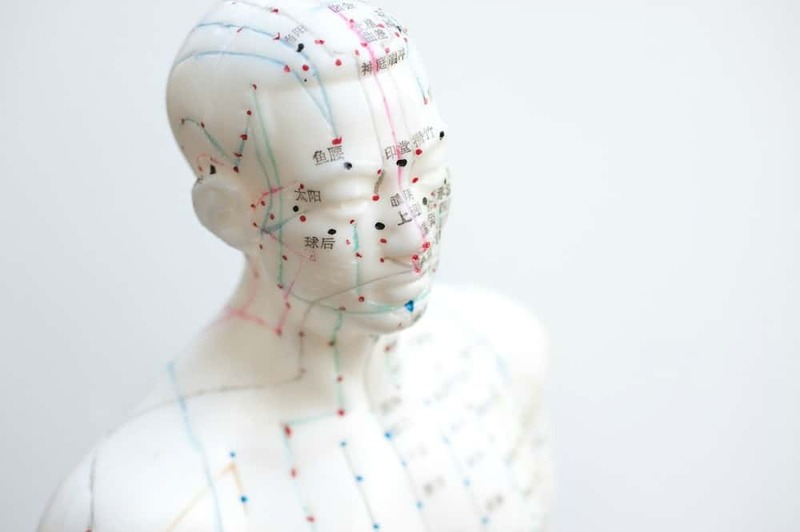 Licensed acupuncturists and traditional Chinese medicine doctors use their knowledge of pathology and organ systems to formulate a herbal preparation that is individualised to your specific needs. Everyone is different, and their responses to stressors are different; TCM takes this into account with the use of botanicals and acupuncture to improve health and well-being. 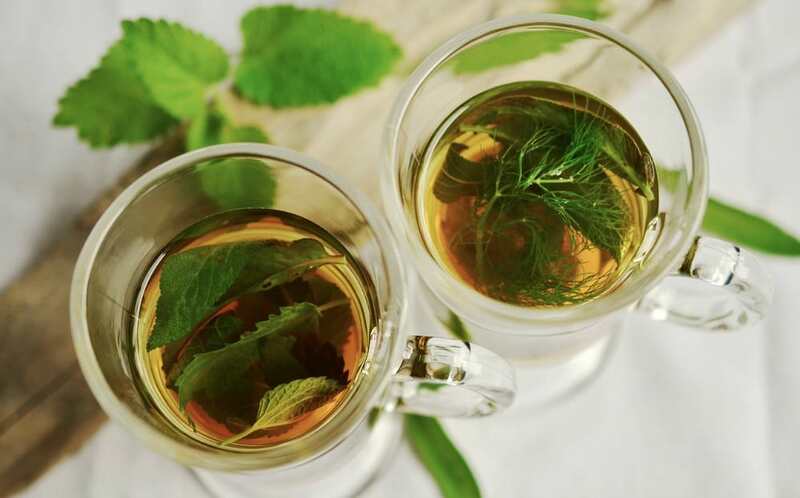 With a long history of botanical medicines in cultures around the world, it is no surprise that herbal remedies exist to treat some of the most prevalent gastrointestinal diseases we face today. For more information on which remedies are right for you, speak with your naturopathic doctor. Now I would like to hear from you. Do you suffer from Ulcerative Colitis? What have you tried to help your symptoms? Let us know in the comments below. Are emotions triggering your IBS symptoms? It is not uncommon for clients of mine to tell me that their IBS is worse when they are stressed. But did you know that often deeper issues may be the problem? Do you find that your IBS seems to strike at random? That you cannot identify particular foods that trigger an attack? Emotions and memories held within your body may be to blame. In my mid-30s I was diagnosed with IBS. Before that, I had very few digestive issues, beyond a known intolerance to lactose. It was a particularly stressful time. I had been severely let down by my then partner, and also by my manager at work who had let me take the blame for something that was, in fact, their doing. My doctor was of little use. He prescribed some meds to control the symptoms and when asked what could have caused these symptoms he vaguely said: “Oh, could be almost anything..” Very helpful! I had an allergy test through a naturopathic doctor, which did identify a few food triggers, and I was better for avoiding them. However, the symptoms persisted. A couple of years later I met my now husband, who was trained in the natural allergy treatment, NAET. He successfully desensitised me to the foods that had been identified, and some others too. Again, this helped, but .. the symptoms persisted. My reactions seemed to be almost random, I would have changed nothing in my diet, but the IBS would flare up.. it was a very frustrating time. It was when I met with a Shaman and Energy healer that I finally found some answers. He taught me that each of our organs holds particular emotions. The large intestine (Colon) is associated with loss, sadness, loneliness, grief. The small intestine to betrayal, abandonment, insecurity, being lost and vulnerable, deserted. This made absolute sense to me. I had been betrayed and abandoned by my former partner and then betrayed by my manager. The Shaman also told me that the reason for my extreme reaction to these more recent events was due to emotions and memories held within my body from a difficult childhood, and also my mother’s experiences as a child, which was attached to my genes; a “genetic memory”. The recent events had triggered these memories and stored emotions, leading to actual physical symptoms of IBS. So how can we resolve these issues? The simple answer is that we need to release these emotions from our bodies. We cannot change events that have happened to us, but we can effectively “file these away” in our past, so they are not so raw and able to impact our current state. However, achieving this is not so simple as snapping your fingers, and it is done… if only it were! It is a process through which we have to work. So how can we do this? In my case, I was led to work with the Shaman using hands-on energy work to release the trapped emotions and bring balance. I also had many sessions of Shamanic journeying where I learnt to let go of the memories passed down by my mother. This is still a work in progress, and I do occasionally get triggered by events in my life. However, my IBS is almost entirely resolved, and on the odd occasion I do have a flare up, I am always very well able to identify the particular incident that has triggered my emotional response, and I can work to resolve the situation. This experience has also led me to study NAET allergy therapy and to become a hands-on energy healer. I offer a free meet and greet to discuss your questions. Irritable Bowel Syndrome (IBS) is a commonly diagnosed condition that is classified as a combination of symptoms including constipation, diarrhea, alternating constipation and diarrhea, cramps, gas and bloating. Often issues resolve after a bowel movement. This array of symptoms (which do not necessarily need to be in conjunction with each other), to me, present as an undiagnosed food sensitivity. Especially because IBS is not a degenerative condition – as we see it in people of all ages, and it is primarily diagnosed earlier in life. What makes this ailment unique is that it is manifested in patients much younger than typical conditions. So what happens when Irritable Bowel Syndrome is suspected? Well, first off, one would present with the symptoms listed above and the Doctor would ask a series of questions. These usually relate to symptoms, some issues related to the person’s regular diet can vary considerably depending on the physician. Next, there would be a series of tests requisitioned. Again, depending on the Doctor, the variety of tests can also vary widely, ranging from stool samples to blood tests and sometimes even MRI’s. Once the results of each of these tests come back negative, a process that can take a couple of days or weeks of simple testing, or for some a long, harrowing tale of medical procedures, then and only then, will the patient be diagnosed with IBS. We call this process a diagnosis of exclusion; it’s a conclusion drawn by process of elimination, meaning we decide that a patient has Irritable Bowel Syndrome when nothing else can be determined. Will they fill every prescription offered them and continue managing symptoms? Will they take matters into their own hands and seek alternative advice, perhaps in the natural health world? Will they do their own research and be able to investigate any food sensitivities on their own? All of these are options. The inconsistencies in the way this condition is diagnosed and dealt with tell me the allopathic establishment does not have a firm handle on what is causing IBS. In my (very) humble experience the symptoms of Irritable Bowel Syndrome rectify once food sensitivities are identified, removed and the gut is re-balanced. This process sounds easier than it is and it requires a personal commitment but if engagement and action exist so does relief. Book a free meet and greet with me to find out more about food sensitivities and IBS. Irritable Bowel Syndrome or IBS affects 10-15% of North Americans, affects twice as many females as males, and is considered one of the most common reasons for people to miss school or work. In fact, the estimated direct and indirect cost of this literal pain in the bump is 41 billion per year! Traditional Chinese Medicine or TCM takes the allopathic diagnosis into account, but always treats based on a patient’s presenting TCM pattern. One very common root cause of IBS in TCM theory is Liver overacting on the Spleen. This can be translated as stress (Liver Qi stagnation) affecting our digestive system (or Spleen-Pancreas function). It is not surprising then, that commonly those with IBS are experiencing anxiety, depression or chronic fatigue syndrome alongside their digestive issues. In my experience, a great improvement in digestive functioning often happens after just one acupuncture treatment! The digestive function has always been of special interest to me as the old saying goes ‘we are what we eat’ and what comes out afterwards is highly indicative of our health and is a key tool we use to diagnose TCM patterns. Acupuncture is believed to regulate the gastrointestinal tract by stimulating the somatic nervous system and vagus nerve and thus changing visceral sensation and motility. If you or someone you know is living with IBS then a trip to your local holistic health clinic may be your best bet in finding relief from your symptoms and unearthing the root cause. Looking at food sensitivities (to be distinguished from true allergies), specific diet protocols for SIBO and incorporating acupuncture into your treatment plan are all things you can do to take back your health and improve your day-to-day living. Also, do what you can to encourage relaxation of your body and mind. 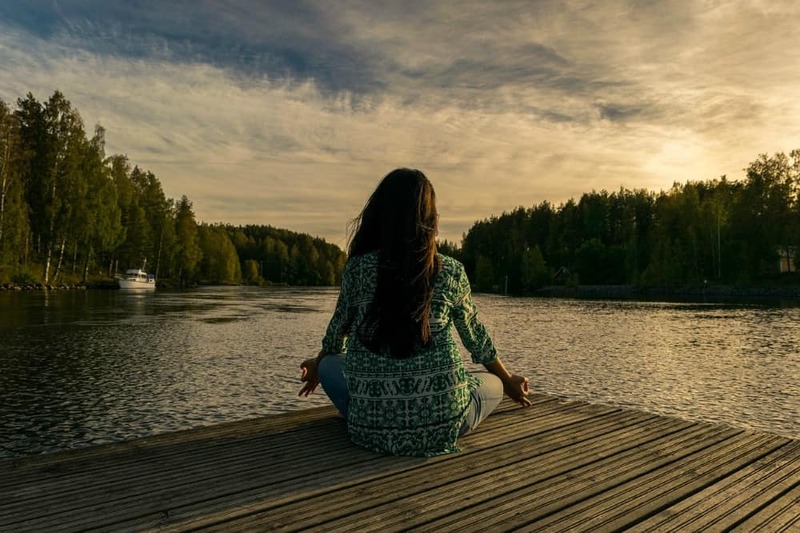 Yoga or a mindfulness practice is a great way to help your body’s fight-or-flight nervous system settle and promote the rest-and-digest system which too often takes a back seat in society today and is critical in all aspects of healing. The belief that herbal medicine has to taste bad to be beneficial is not always true. The spirited flavour of peppermint (Mentha piperita) or the sweetness of liquorice (Glycyrrhiza glabra) is both tasty and effective medicine. However, in the case of a class of herbs called bitters, it is true. When the bitter flavour mingles with the taste buds on the tongue, it sets in motion a series of physiological responses that enhance the appetite, improve digestion and aid in the absorption of nutrients from food. The bitter flavour on the tongue causes the stomach to release gastric juices, stimulates bile flow from the gallbladder and the pancreas to secrete insulin. 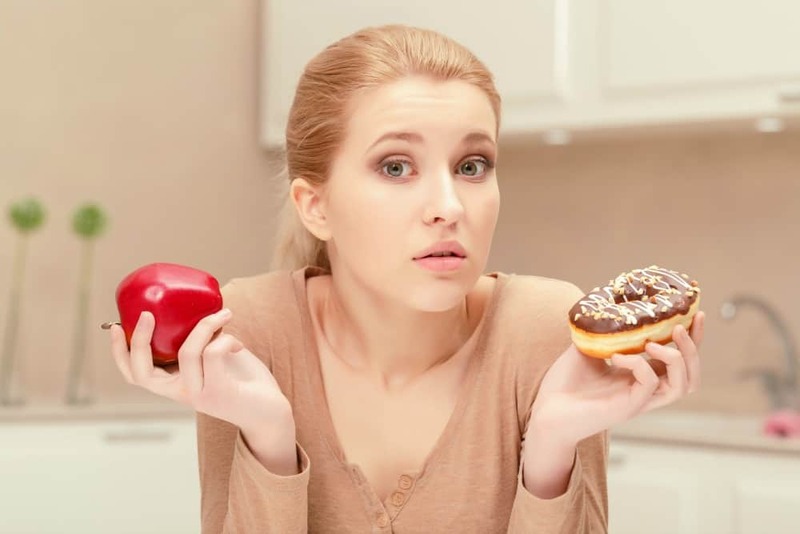 The bitter taste does this by acting on the part of the nervous system that is responsible for digestion and assimilation of food, the parasympathetic system. In old herbal terms, bitters are used when the digestion is sluggish. Or in other words, bitters get things flowing. Bitter herbs are useful when food sits like a lump in the stomach, causing bloating and constipation. Bitters are useful for those who have no appetite and continue to gain weight. Older folks who have lost their appetite find their hunger with the help of bitter herbs. At the other end of life’s spectrum, when a baby suffers from colic, mild bitters such as catnip (Cataria nepeta) or chamomile (Matricaria recutita) ease griping pain. For those recovering from a chronic illness that has depleted the body’s resources, bitter herbs improve the absorption of nutrients from food. This, in turn, enhances energy levels and shortens recovery time. When offering iron-rich herbs to those drained by anaemia, a bitter herb in the formula will help the body absorbed iron. To benefit from all that bitter herbs can do for the digestive system, one does not need to take a significant amount of the herbs. All that is necessary is to taste the bitter flavour. Remember the medicine is in the taste. To use bitters to improve digestion, whether three months or 90 years old, take a couple of sips of bitter tea 20 minutes before each meal. This primes the digestive system and prepares your body for an incoming meal. Another way to take advantage of the bitter flavour is to have a salad of bitter greens before each meal. This method is particularly useful for those who suffer from bloating and constipation or have no appetite but continue to gain weight. Romaine lettuce is considered a bitter green, as are dandelion leaves and endive. Try the salad without dressing, or use a little vinegar and olive oil. Don’t mask the bitter flavour with sweet store bought salad dressings. 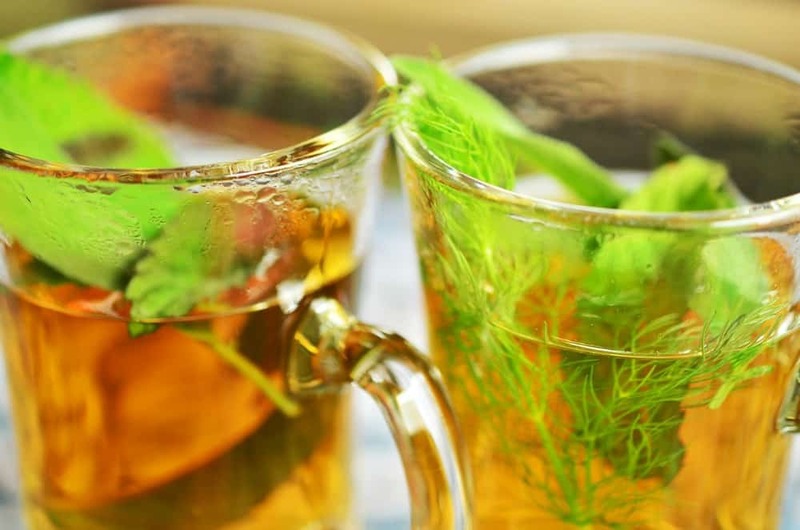 Bitter herbs also have a long history of easing depression which accompanies anxiety. This is because the part of the nervous system that primes the digestive tract, the parasympathetic system, also relaxes the mind. Nature is economical. To digest food well, one needs to be relaxed. The mnemonic for the parasympathetic system is “rest and digest”. Bitters, by activating the parasympathetic nervous system, relax the mind and improve digestion. A two for one deal, all for a little bit of bitter! The bitter herbs used to relieve depression and anxiety, are very bitter. Herbalists, actually have a scale which measures a herb’s bitter flavour. The two herbs considered the most bitter are gentian (Gentiana lutea) and wormwood (Artemisia absinthium). Wormwood, although other bitters can be used, is the choice herb to relieve depression with anxiety. It is in my opinion that wormwood is the most unpleasant tasting herb. One of my clients complained bitterly about the taste of his medicine that contained wormwood. Fortunately, wormwood is considered a potent herb, and one only needs a small amount to be effective. Please note, I do not recommend using Wormwood without a herbalist advice, as it has narrow therapeutic range. This means that has the potential of becoming toxic to the body when overused. Bitters, as useful as they are, are not for everyone. If you suffer from a peptic ulcer bitters can increase the burning sensation and prolong the healing process. Because bitters are used to relieve constipation, avoid them if the bowels are loose. In pregnancy, avoid herbs that have a strong, bitter flavour, like wormwood and gentian. Come and find out more about herbs and their benefits!